Garrett Olson is a special guest on this segment of Monday Night Talk! 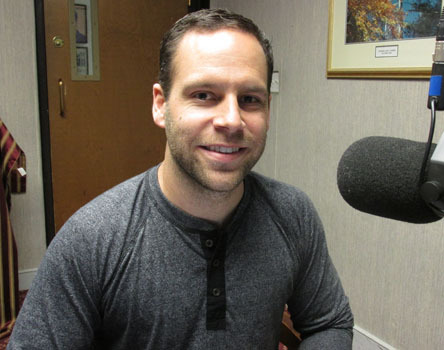 Garrett, who is a actor and board member for Plymouth Community Theatre, stops by the show to share insight about the organization, its current season of performances, including the upcoming event, "Sizzling Summer Shorts," which is hits the stage on August 15, 16, 17, 22, 23 & 24. 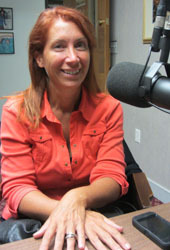 To learn more about Plymouth Community Theatre, please visit their website: www.plymouthcommunitytheatre.net. Do you have an topic for a future show or info on an upcoming community event? Email us at mondaynighttalk@gmail.com or "like" and post a comment on our Facebook page: www.facebook.com/mondaynighttalkon959fmwatd. If you're a fan of the show and enjoy our segments, you can either download your favorite segment from this site or subscribe to our podcasts through iTunes today! Plymouth Selectman John Mahoney is a guest for this episode of Monday Night Talk! 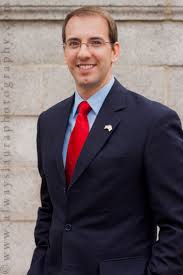 John is a write in candidate for the 1st Plymouth District State Representative's seat. He stopped in to talk about why he's running for office, his concerns for the district and what he feels are the issues in the race. Do you have an topic for a future show or info on an upcoming community event? Email us at mondaynighttalk@gmail.com or "like" and post a comment on our Facebook page: www.facebook.com/mondaynighttalkon959fmwatd. If you're a fan of the show and enjoy our segments, you can either download your favorite segment from this site or subscribe to our podcasts through iTunes today! John Miller is a guest on this episode of Monday Night Talk! John, who is running for Attorney General, stops by to discuss his campaign, why he's running for office and what some of the issues are in the race. 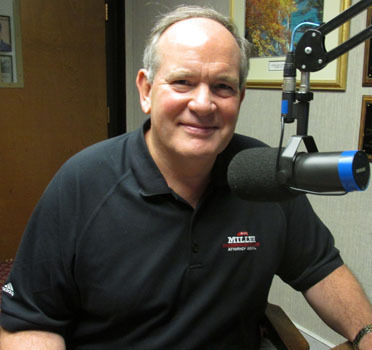 If you want to know more about John and his campaign, please visit his website; millerforag.com. Do you have an topic for a future show or info on an upcoming community event? Email us at mondaynighttalk@gmail.com or "like" and post a comment on our Facebook page: www.facebook.com/mondaynighttalkon959fmwatd. If you're a fan of the show and enjoy our segments, you can either download your favorite segment from this site or subscribe to our podcasts through iTunes today! Mike Lake is a guest during this segment of Monday Night Talk! Mike, who is a Democratic candidate for Lieutenant Governor, calls into the show to discuss his campaign for office and shares what some of the issues are in the race. To learn more about Mike's campaign, please visit his website; www.electmikelake.com. Do you have an topic for a future show or info on an upcoming community event? Email us at mondaynighttalk@gmail.com or "like" and post a comment on our Facebook page: www.facebook.com/mondaynighttalkon959fmwatd. If you're a fan of the show and enjoy our segments, you can either download your favorite segment from this site or subscribe to our podcasts through iTunes today! Mike Cogburn is a guest on this episode of Monday Night Talk! Mike is spearheading a newly formed anti-drug task force called Pembroke Titans Against Drugs (PTAD) that is scheduled to hold its first meeting on August 7th at 6pm in the Pembroke Public Library. The group hopes to To establish Pembroke, Massachusetts as a drug free community. Preventing substance abuse in the community, while supporting families impacted by it. To learn more about PTAD visit their page on Facebook: www.facebook.com/TitansAgainstDrugs. Do you have an topic for a future show or info on an upcoming community event? Email us at mondaynighttalk@gmail.com or "like" and post a comment on our Facebook page: www.facebook.com/mondaynighttalkon959fmwatd. If you're a fan of the show and enjoy our segments, you can either download your favorite segment from this site or subscribe to our podcasts through iTunes today! 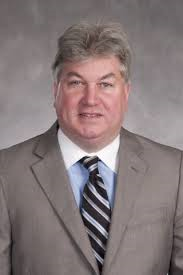 State Representative Mike Brady is a guest during this episode of Monday Night Talk! 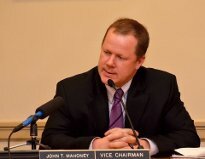 Rep. Brady looks at a couple of different issues during his State House Report including recent legislation to curb harassment and obstruction outside of Massachusetts abortion clinics, the proposed gun legislation proposed by House Speaker Robert DeLeo and the recent housing of illegal immigrants at Otis Air Force. Do you have an topic for a future show or info on an upcoming community event? Email us at mondaynighttalk@gmail.com or "like" and post a comment on our Facebook page: www.facebook.com/mondaynighttalkon959fmwatd. If you're a fan of the show and enjoy our segments, you can either download your favorite segment from this site or subscribe to our podcasts through iTunes today! Dr Kate Roberts is a guest during this episode of Monday Night Talk! Dr.Kate, who is a child and family psychologist and coach, with over 25 years of experience shares her insight to warn parents about what to watch when it comes to their children's use of technology and how they may be at risk. She recently penned a blog on her website giving tips to parents on what to watch for when it comes to being addicted to the internet and ways to curb the use of technology if it's needed. To see the blog and other items Dr Kate discusses on her website, please go to: drkateroberts.com. Do you have an topic for a future show or info on an upcoming community event? Email us at mondaynighttalk@gmail.com or "like" and post a comment on our Facebook page: www.facebook.com/mondaynighttalkon959fmwatd. If you're a fan of the show and enjoy our segments, you can either download your favorite segment from this site or subscribe to our podcasts through iTunes today! Chris Zito is a special guest on this segment of Monday Night Talk! Just a little info about our guest; Chris has spent the last thirty years plus sharing his obsession with his family with comedy fans, readers, and radio listeners all over the country. 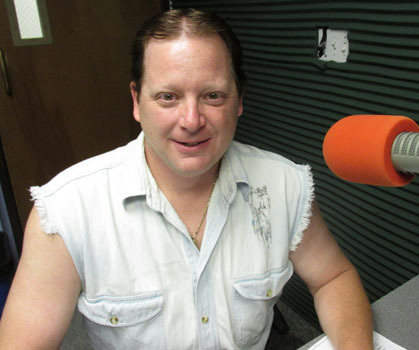 He has been on radio stations in Boston and all over the country, currently heard mornings on MIX 93 in Springfield as cohost of the Zito and Kera show. He is an actor, writer, radio host, and standup comedian. His comedy focuses on life, love, relationships, and family. 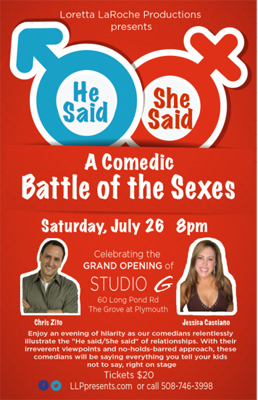 Chris called in to chat about a Loretta LaRoche production that was recently held at the Grove in Plymouth, called, "He Said, She Said, a Comedic Battle of the Sexes." Do you have an topic for a future show or info on an upcoming community event? Email us at mondaynighttalk@gmail.com or "like" and post a comment on our Facebook page: www.facebook.com/mondaynighttalkon959fmwatd. If you're a fan of the show and enjoy our segments, you can either download your favorite segment from this site or subscribe to our podcasts through iTunes today! Peggy Curtis is a guest during this segment of Monday Night Talk! 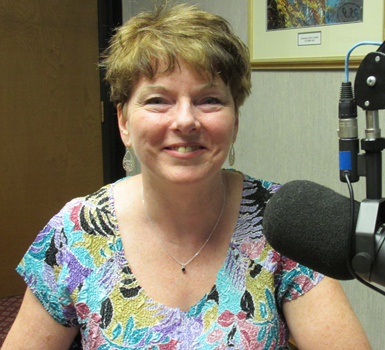 Peggy is a Democrat running for the 10th Plymouth District State Representative's seat. She's stops by to share why she decided to enter the race, what the issues are and what she's hearing from voters in different parts of the district. To find out more about Peggy's campaign, please visit her website; www.electpeggycurtis.com. Do you have an topic for a future show or info on an upcoming community event? Email us at mondaynighttalk@gmail.com or "like" and post a comment on our Facebook page: www.facebook.com/mondaynighttalkon959fmwatd. If you're a fan of the show and enjoy our segments, you can either download your favorite segment from this site or subscribe to our podcasts through iTunes today! Ed Nottle is a special guest on this episode of Monday Night Talk! Ed, who has spent 50 years in professional baseball including local stints as a minor league manager in the Boston Red Sox organization and with the Brockton Rox returns to the area to raise some money for two challenger programs. The coach recently held an event in Evansville, Indiana, which is his hometown, to benefit their challenger program. 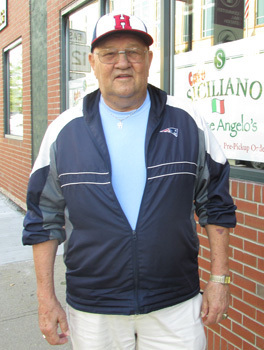 He was persuaded by a local business owner to hold one in Brockton and share the proceeds with the Downey Little League and his hometown's program. A challenger program is a separate division of Little League baseball that enables kids with physical and mental challenges to play the sport. Do you have an topic for a future show or info on an upcoming community event? Email us at mondaynighttalk@gmail.com or "like" and post a comment on our Facebook page: www.facebook.com/mondaynighttalkon959fmwatd. If you're a fan of the show and enjoy our segments, you can either download your favorite segment from this site or subscribe to our podcasts through iTunes today!